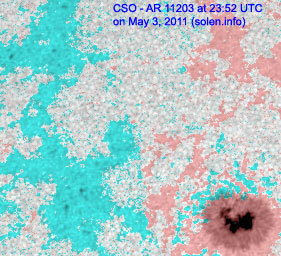 Last major update issued on May 5, 2011 at 04:30 UTC. 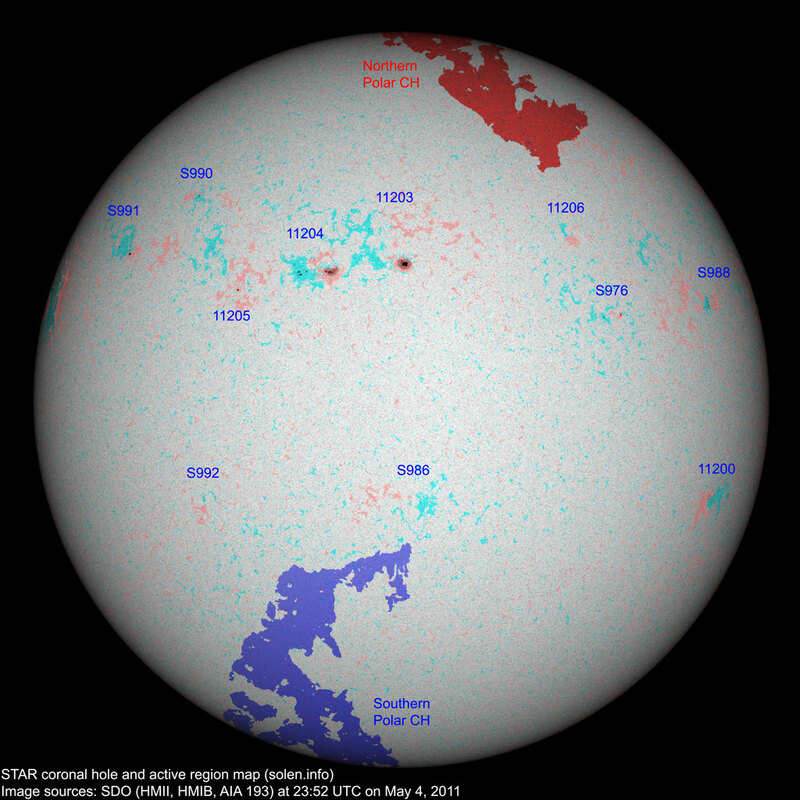 The geomagnetic field was quiet on May 4. 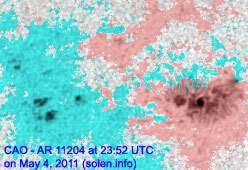 Solar wind speed ranged between 422 and 565 km/s. 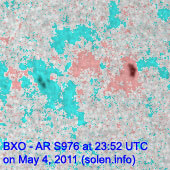 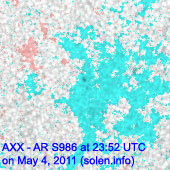 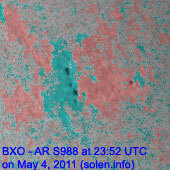 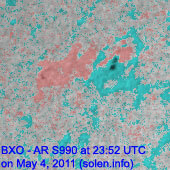 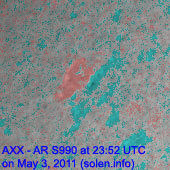 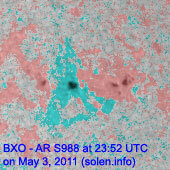 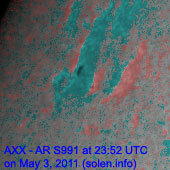 Solar flux measured at 20h UTC on 2.8 GHz was 106.9 (decreasing 5.4 over the last solar rotation). 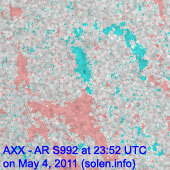 The planetary A index was 6 (STAR Ap - based on the mean of three hour interval ap indices: 5.5). 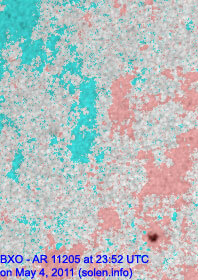 Three hour interval K indices: 21211211 (planetary), 21221211 (Boulder). 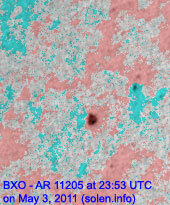 Region 11203 displayed no significant changes and was quiet. 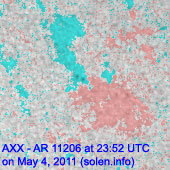 Region 11204 was mostly quiet and stable. 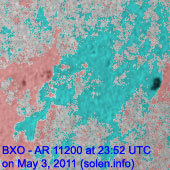 Region 11205 decayed slowly. 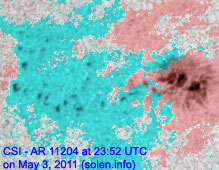 A filament eruption was observed in this region near 17h UTC. 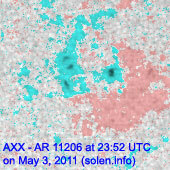 A CME was observed, but does not seem to be Earth directed. 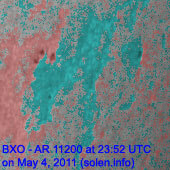 Region 11206 decayed slowly and could soon become spotless. 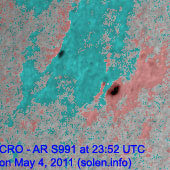 May 2-4: No obviously Earth directed CMEs were observed in LASCO and STEREO imagery. 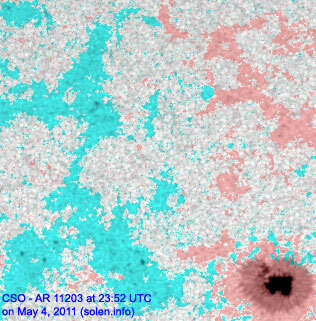 A poorly defined coronal hole (CH447) in the southern hemisphere was in an Earth facing position on May 2-3. 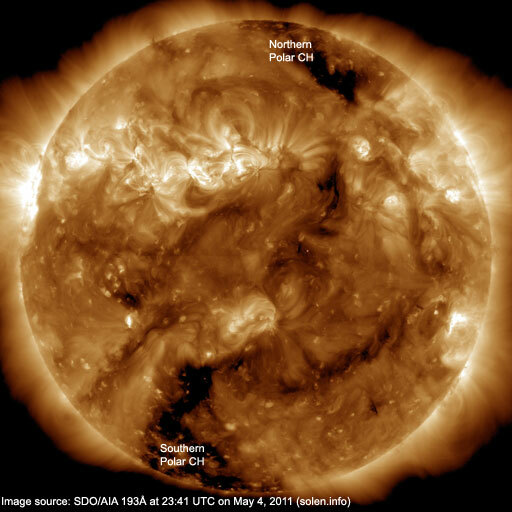 The geomagnetic field is expected to be quiet to unsettled on May 5-7 due to a weak coronal hole stream.